I chose to do a collaged card using a Paris themed stamp. I kept it simple, with a splash of color added to it. I just love how the flowers cascade over the Eiffel Tower. I decided to pop them up and add glossy accents to give them dimension. Happy tax day! Hopefully your taxes are done and your getting a refund. :). So the theme for April was flowers. 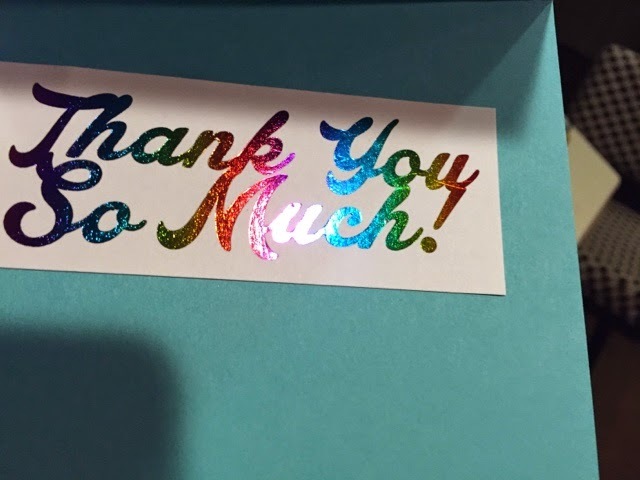 I want to share the thank you card I made for my birthday gifts. I designed it in silhouette design software – and printed it with my new laser printer. 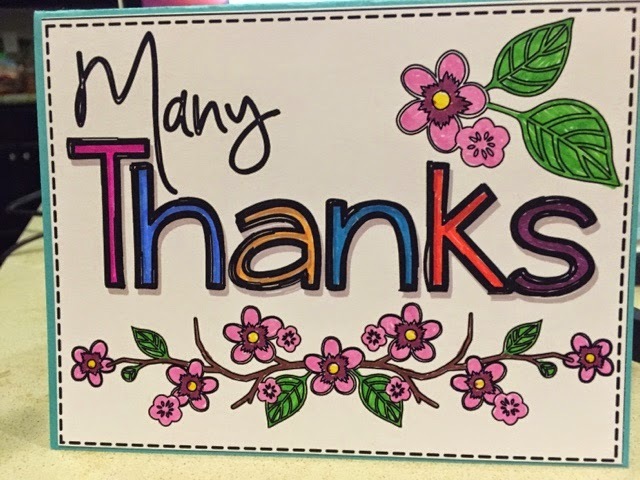 I then hand colored the letters & flowers with Bic markers (fine point). Love them. Ironically, my husband asked me why I just didn’t print them out in color. Would have been faster- but not as much fun!! The inside was printed on my printer & then foiled using the Decoart foil. Here’s the card. Pretty easy!